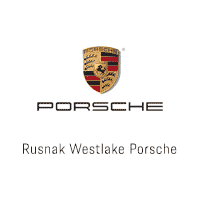 At Rusnak/Westlake Porsche, we are often asked if we can just perform an oil change instead of performing the factory recommended intermediate or full maintenance. Though this can be done at your request, we recommend against it. The same Weissach engineers that designed your car with the performance and luxury you expect from Porsche also created a maintenance schedule to keep your Porsche operating at peak performance. The recommended maintenance schedule includes replacement or inspections of many components that wear with age, regardless of miles. The maintenance schedule also includes many inspections that can prevent minor issues from becoming major repairs. If your vehicle is only due for an oil change, there are many benefits to having the service performed here at Rusnak/Westlake Porsche. While you’re here you can enjoy a fresh beverage and snacks while you walk amongst one of the largest collections of new and pre-owned Porsche vehicles in the country. All work perform by Porsche Certified Technicians. We have 9 Gold Level Porsche certified technicians. How long will this maintenance take to complete? Another question often asked is how long will this take? Although an oil change may sound like something that can be rushed, the entire maintanence process from arrival to exit can take approximately 2.5 hours. This includes the write up, repairs and inspections, trips to the parts department, car wash, and so much more. If your Porsche is due for an oil change or any other kind of Porsche maintenance or repairs near Thousand Oaks, then schedule your appointment and allow the certified technicians at our Porsche service center to help! Our dealership is located at 3839 Auto Mall Drive in Thousand Oaks, CA, 91362 and you can reach us directly at (844) 245-3668.